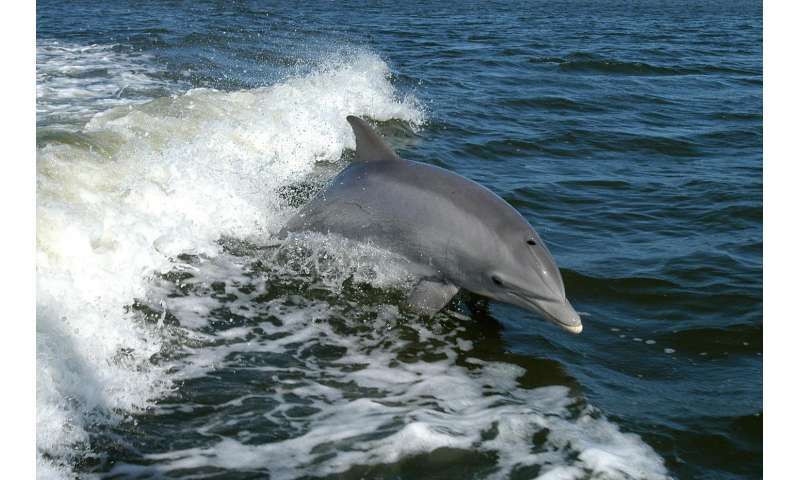 Luke Halpin, lead author of the paper, said: 'It is surprising to find a warm-water dolphin in British Columbian waters, and especially to find such a large number of common bottlenose dolphins within the group." Halpin added: "The sighting is also the first offshore report of false killer whales in British Columbia. To see the two species traveling together and interacting was quite special and rare. It is known that common bottlenose dolphins and false killer whales seek each other out and interact, but the purpose of the interactions is unclear." Halpin adds: "Since 2014 I have documented several warm-water species: common bottlenose dolphins, a swordfish and a loggerhead turtle in British Columbian waters. With marine waters increasingly warming up we can expect to see more typically warm-water species in the northeastern Pacific."